If you want some extra space and light for your home, your first thought might be to install a conservatory; but this isn’t necessarily the best choice. Today there are many more options than conventional conservatories. Conventional conservatories are still very popular, as are bricks and mortar extensions and orangeries, but these are now being rivaled by sleek glass extensions which can give any home that special ‘designer’ look. There are many different kinds of glass extensions and there are many different ways in which they can transform your home. Examples are return glass extensions used to create a kitchen diner with a pitched glass roof; glass box shaped extensions that will link your living space with your garden in a seamless fashion and which will make your whole home look as if it was architect designed; and combined masonry glass extensions that resemble an orangery in style. You can use a glass extension as a dining room, as a place to entertain your guests, a room in which to relax, or as part of a large wrap round open plan extension that will totally transform your home and your life style. 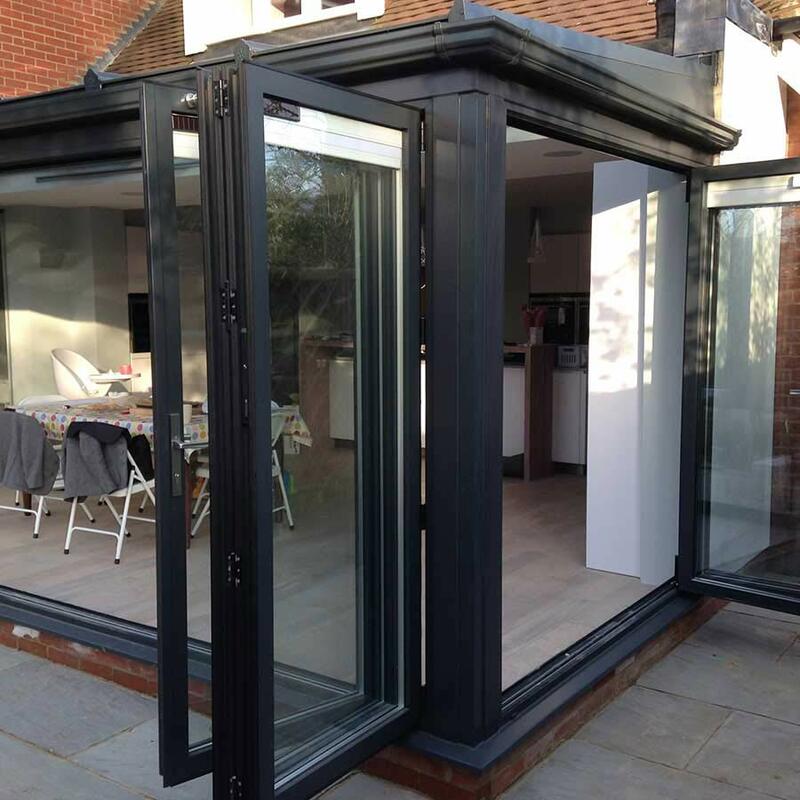 There are many options to consider; at Total Extensions we love building glass extensions for our customers and we do so throughout Kent and Sussex. We fully realise that every home is different, and we can design a bespoke glass extensions to suit any house. We can work to any size, any shape, and any design, and we will tailor a glass extension to fulfil your requirements and that will add value to your home. Glass extensions provide unrivaled levels of light and are a stunning addition to any home, but it is important to consider if it is the best solution for you. Just as glass extensions let you see out, they also let other people see in, so if your home is overlooked then you might find uncomfortable with the lack of privacy. Also you need to consider the sun; if your extension is south facing so that it would receive the sun all day long in the summer, then it could get too hot. Modern glazing panels will keep a lot of the heat out (see below) but you might be better off with a part glazed masonry structure than a glass cube. We are often asked about heat loss, and it isn’t surprising that, with so much glass, people are sometimes concerned that they will lose too much heat. However we use the latest high performance argon gas filled glazing units that keep in far more of the heat than the old fashioned simple double glazed units were capable of doing. Also, in the summer, our leading edge glass technology is designed to keep you comfortable, reflecting much of the hot sun rays back to the outside. 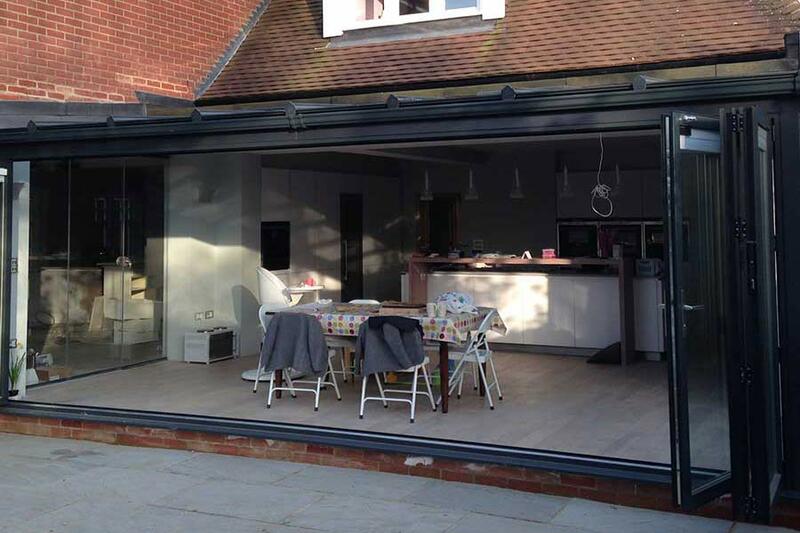 There is little point in investing in a glass extension that you can’t use all year round; with Total Extensions we will create a living space that you can use any time of the year. This depends on many factors, and it isn’t always necessary. The same rules apply to glass extensions as to masonry extensions and conservatories depending on circumstance. We can advise you on this and if you do require it we can organise it for you. If you are thrilled by the prospects of transforming your home with a sleek modern glass extension, then we are just a phone call away. We can advise you on all the options that are available to you and we will help you at every stage of the project; concept to completion is our motto.